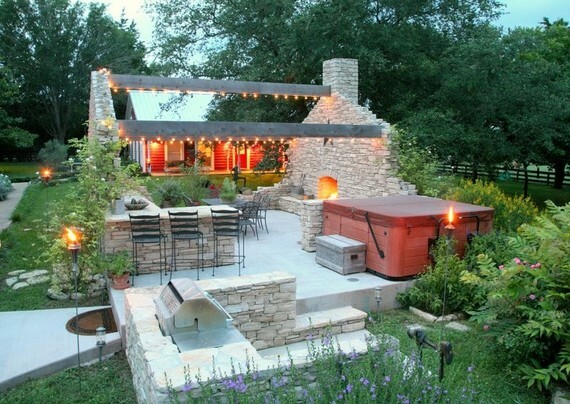 Fall asleep under a sky full of stars and wake up to a table full of healthy farm-fresh fare. Roam vibrant green meadows, ride horses, feed llamas or even--if you wish--lend a helping hand on the farm. If this sounds like your idea of a rejuvenating escape, book a farm stay at a bucolic B&B and live the country life (if only for a night). 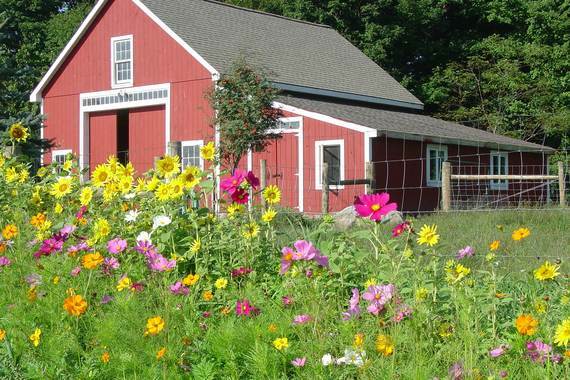 Discover 10 farm-stay bed and breakfasts that offer peaceful and luxurious retreats on authentic working farms across the U.S. 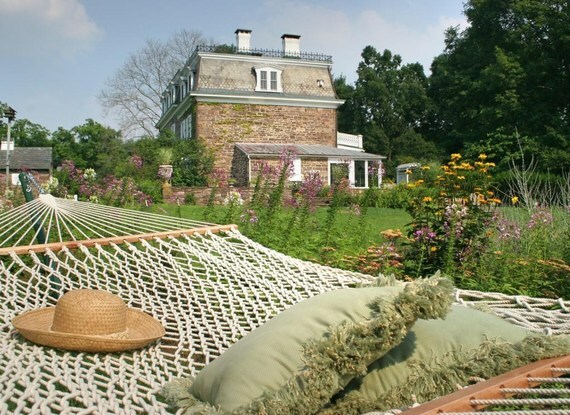 This eco-friendly bed and breakfast and day spa (named after the majestic on-site waterfall that flows down to the Hudson River) sits on a sprawling 70-acre estate located 69 miles from New York City. The inn's 10 suites and 12 guest houses boast wood-burning fireplaces, captivating views of the grounds, and private bathrooms with whirlpool tubs. All stays at this working farm include access to the spa's sauna, steam room and rejuvenating enclosed swimming pool. The property also offers a farm-to-table restaurant, exquisite organic gardens and acres of fruit orchards. 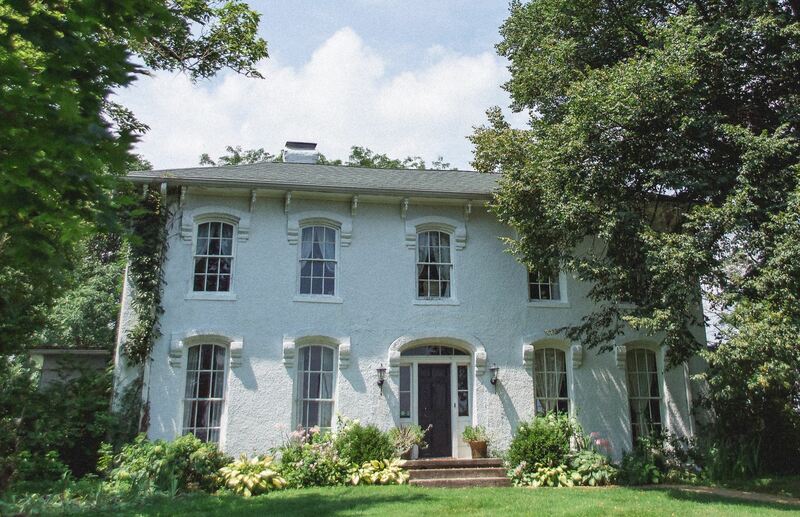 Set on 500 acres of rolling hills and valleys in the heart of Galena's countryside, this farm-stay bed and breakfast provides personalized comfort, unparalleled hospitality and luxurious amenities that will please even the most sophisticated travelers. 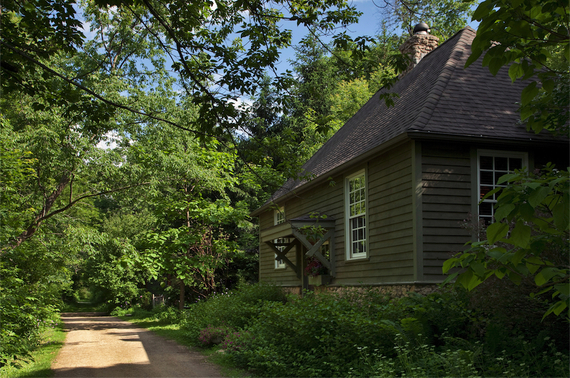 Miles of hiking trails and streams cut through the property, which is connected to a 1,500-acre nature preserve. Each guestroom in the historical main inn offers a queen-sized bed, a gas fireplace and views of the Irish Hollow Valley, while the five guest cottages feature modern décor and furnishings, wood-burning fireplaces and bathrooms with whirlpool bathtubs. Situated just 3 miles from the Stratton Mountain Ski Resort in Southern Vermont, this farm-stay bed and breakfast provides four deluxe guest suites with private bathrooms (and towel warmers!). 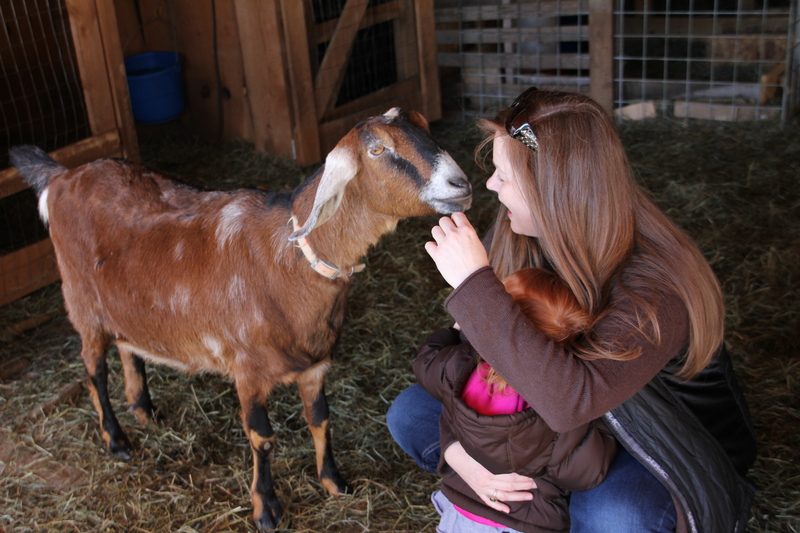 The working farm sits on 25 acres of land and is home to an assortment of animals, including chickens, ducks, goats, pigs and sheep. When not soaking in the inn's large hot tub or fishing by the property's pond, guests can sign up for farming lessons or stop in the Cold Moon Culinary Center for hands-on instruction on making healthy, farm-fresh cuisine. 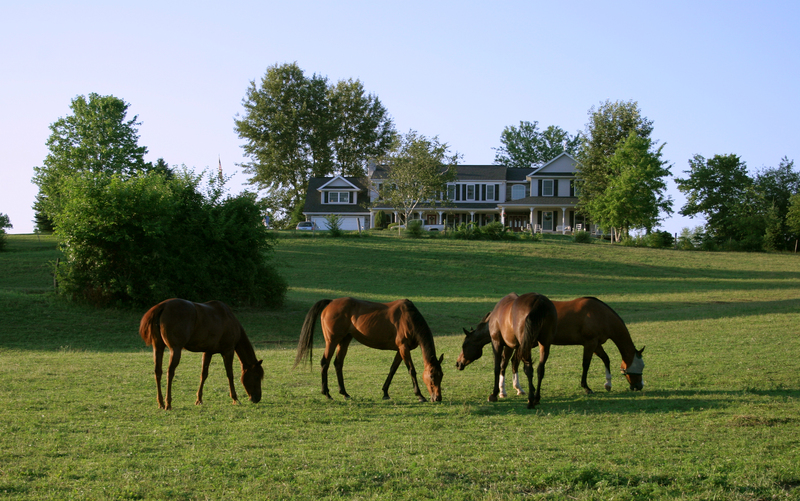 Located 3 miles from Hershey Park and only minutes away from Amish Country and historical Civil War sites, this elegant country inn rests on a bucolic 32-acre horse farm in Central Pennsylvania. The property's 10 guestrooms, each named for one of the farm's horses, are individually decorated with beautiful antiques and feature king-sized beds, cozy fireplaces and private bathrooms with Jacuzzi bathtubs. Early-risers are invited to help feed the horses, goats and alpaca, while benches are available near each riding ring so guests can watch the trainers in action. Located on an eight-acre farmstead overlooking the Pacific Ocean, this historic 1860s-era inn is surrounded on three sides by Van Damme State Park--and offers the area's sole wine bar serving only local Anderson Valley wines. The B&B's 10 two-room guest suites feature king- or queen-sized featherbeds dressed in high thread-count linens, private bathrooms and wood-burning fireplaces, and all stays include daily three-course in-room breakfasts made with farm-fresh eggs. 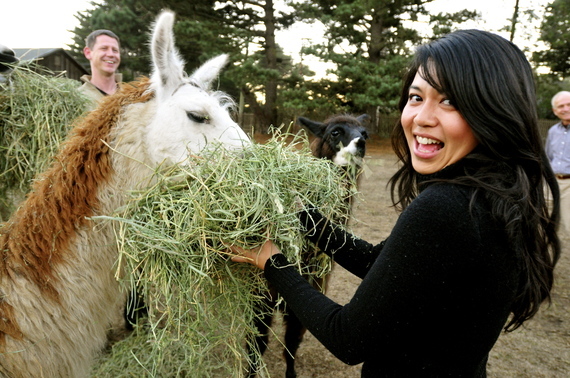 Guests can help feed the resident chickens in the morning and the llamas at dusk. 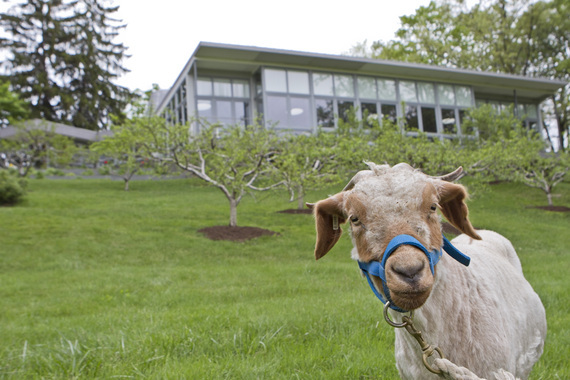 Heritage animals--from Shetland sheep to rare-breed chickens--roam the rural landscape of this beautiful Vermont B&B. The innkeepers offer farm tours for guests and visitors alike. But if you want to spend the night, you can bunk down in the spacious on-site suite offered for overnight stays. Although this property only has one room, the innkeepers certainly do not skimp on breakfast. When the sun rises, expect a beautiful spread of farm-fresh bacon and eggs, local coffee cake, English muffins, and fresh juices and coffee. Situated on 12 acres of farmland just outside the historical village of Granville, Ohio, this bed and breakfast blends rustic farm style with modern comforts and amenities. The guestrooms, decorated according to literary themes, feature king- or queen-size beds and private bathrooms. Sign up for the inn's signature Farm Experience package ($25) and help lend a hand with animal care and other aspects of the farm's daily operations. 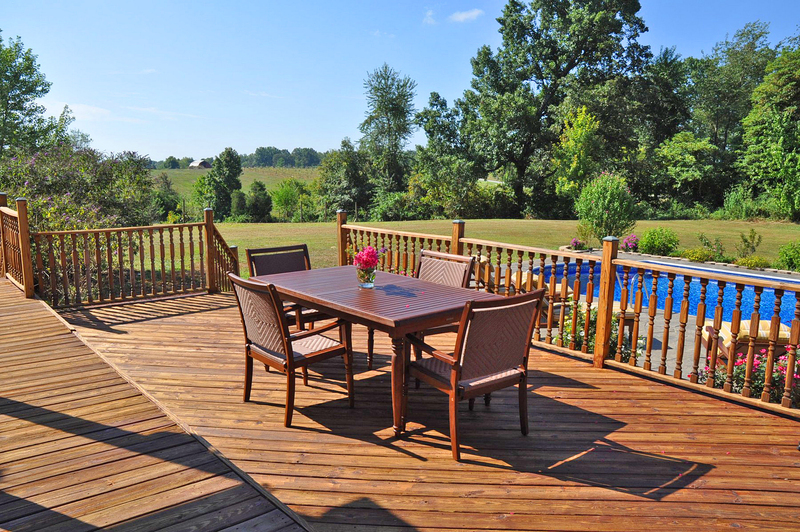 The majestic setting, luxurious amenities and genuine Southern hospitality at this resort-like bed and breakfast in Brandenburg, Kentucky, make it a truly memorable destination. The inn features towering 20-foot ceilings, elegant crystal chandeliers and a mix of modern accents and gorgeous antiques. Each of the five guestrooms offers down featherbeds, free Wi-Fi, and refrigerators. After enjoying a full gourmet breakfast in the morning, guests can help gather free-range eggs, go fishing for catfish and bass by the farm's ponds, or help feed the alpacas, goats, ducks and baby chicks. Located on the Bluebonnet Trail half-way between Houston and Austin, this Texas ranch bed and breakfast is the perfect place for a weekend getaway. The guesthouse offers two separate suites, each featuring 10-foot ceilings, six-foot windows with sweeping views of the ranch, spacious living and dining areas, and comfortable queen-sized beds. For those looking to be pampered, in-suite massages are available upon request. Enjoy a gourmet breakfast made with farm-fresh eggs and local herbs in the stone outdoor pioneer kitchen before exploring the grounds and observing the horses and Belted Galloway cattle grazing in the pastures. Perched high above the Delaware River and surrounded by 300 acres of rolling farmland and forest, this farm-stay bed and breakfast provides a romantic escape plus convenient access to the activities in nearby Lambertville and New Hope. The plush guestrooms feature picturesque views of the hills or the sheep pastures, large fireplaces, two-person whirlpool bathtubs, private steam rooms, hand-painted murals and private outdoor sitting areas. This article originally appeared on BedandBreakfast.com. BedandBreakfast.com is the world's most comprehensive site for discovering unique accommodations and booking bed and breakfast getaways. With more than 10,000 properties and nearly 75,000 rooms, BedandBreakfast.com connects travelers with extraordinary B&Bs, country lodges, urban inns and small hotels worldwide.